After a long day of meetings, why not reward yourself by checking out some of the best shops, restaurants and entertainment venues in the Baltimore, Washington area? At Maryland Live! Casino, there's always a new way to win. This 24/7 destination features thousands of slot machines and electronic table games, plus traditional table games and a poker room. You’ll also find several restaurants and a live concert venue. Arundel Mills is the largest outlet mall and value retail shopping, dining and entertainment destination in the state of Maryland. 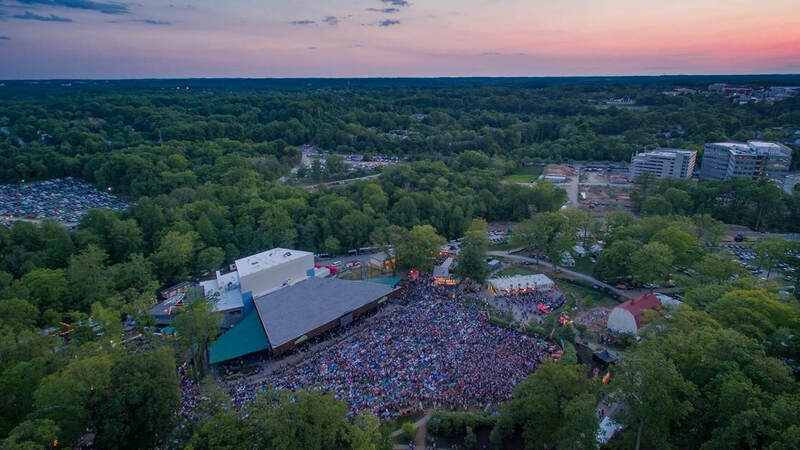 Merriweather Post Pavilion is one of the world’s most beautiful and storied amphitheaters, offering a splendid setting for live concerts and performances. Known for its superb crab cakes and premier seafood, steak and pasta dishes, this simple, family friendly eatery is a Maryland favorite. Private dining areas are available. This multi-purpose football stadium is home to the Baltimore Ravens of the National Football League and also hosts concerts and other live entertainment. At Horseshoe Baltimore, you will find over 2,200 of the newest, hottest slots, including more than 150 video poker machines, video lottery terminals, table games and a World Series of Poker room. Come watch a movie at this theater with the latest technology and within walking distance or a quick shuttle ride from MCC. The Royal Farms Arena is Baltimore’s largest indoor sports and entertainment facility. This Restored 18th century manor home offers a posh, Colonial backdrop for elegant New American dining. Private dining areas are available. For over 30 years, this award-winning Baltimore seafood restaurant has served the city’s best crab cakes, steaks, desserts & more. Often referred to simply as Camden Yards or Oriole Park, this beautiful, retro-style Major League Baseball ballpark is home to the Baltimore Orioles.